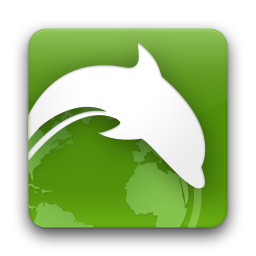 A few days ago we told you about Dolphin Browser's foray into the tablet world, Dolphin for Pad. We've had a bit of time to play with it since then, as have most of you, and we recently received a tip from a loyal reader named Nathan Patton that highlights a rather nifty feature of the new browser. When in fullscreen mode, a simple two-finger swipe activates an awesome 3D cube of all open web pages, very reminiscent of the Compiz Fusion 3D cube on Linux that was highly popular among the uber-geeks of yesteryear. With a little help from our founder, Artem Russakovskii, Nathan even took the time to make a short video showing us how to accomplish this little trick. It takes a few minutes to get it just right, but here is a little tip: don't swipe too fast. The first several times I gave it a go, it would just go directly from one page to another with zero transition animations. After slowing the motion down a bit, I was able to reproduce the effect every time. While it may not be the most practical way of tabbing through open pages, it is definitely the most stylish.